In this series, CircusTalk will attempt to explore different aspects of the social circus world. In this article, the author will focus on social circuses run by women with a goal to help other women. Social Circus is a vastly diverse field, with companies and organizations dedicated to anything from enriching the lives of refugees to empowering disadvantaged youth, or from helping special needs children develop life skills to aiding women in overcoming difficult backgrounds. I knew I wanted women to be the focus of my first article in this series, and specifically I wanted to explore circuses run by women that are helping other women. As #metoo has swept the western world, I was curious to see what has been done before this has become such a widespread phenomena, and what developments are happening as society’s awareness of women’s issues grows. Coming into the film, my knowledge of Circus Kathmandu extended only as far as the above text: that they use circus to help people who have had a history of human trafficking. Little did I know that Circus Kathmandu not only does that essential job, but it does so much more than that by offering a form of closure to its artists. The film introduces Nepal’s leading social circus, Circus Kathmandu, through the eyes of two of its lead performers – Saraswoti (28) and Sheetal (25), both of whom were kidnapped as children in Nepal and sold to circuses in north India. What sounds like an unusual occurrence is quickly revealed to be a practice of staggering frequency: according to a UNICEF report, approximately 12,000 children are kidnapped and transported annually from Nepal to India, and a large percentage of them end up in circuses – illegally forced to perform for the masses using questionable and oftentimes violent methods. Saraswoti tells of daily beatings that are painfully calculated – reserved for the children’s hips and bottoms, so that the circus costumes can easily hide the bruises. She was kidnapped as a child by a neighbor, who sold both her and her own daughter to an Indian circus. By age 14, she was married off to the circus owner’s son, and a year later was already a mother to twins. By age 20, she was a widow with three children. Sheetal does not even remember being kidnapped. In fact, she remembers very little of her life back in Nepal at all. Her passport says she is a 25 years old Nepalese, but when she was rescued from the circus she did not know her real age, name, birth date or caste. The film does a great job of presenting these harrowing, deeply sad and concerning stories with a dash of hope to balance it. Saraswoti, for example, sought justice after being rescued, and the neighbor who kidnapped her is currently serving a 10-year prison sentence. 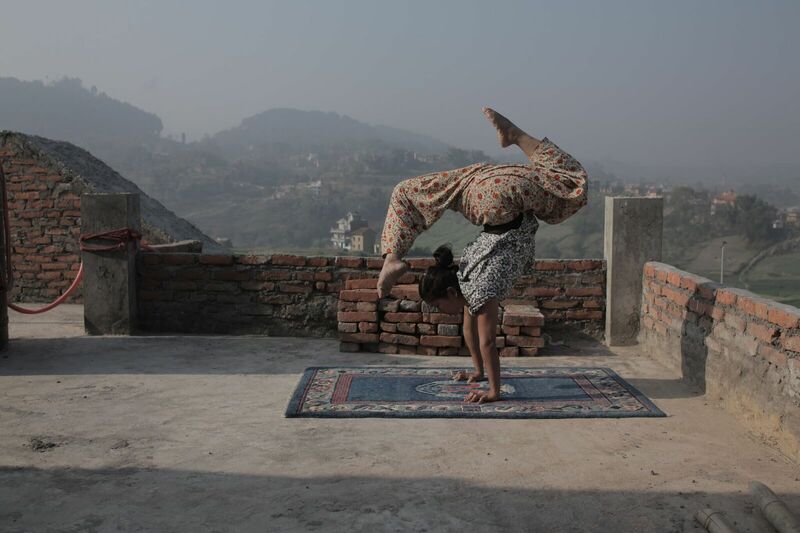 But the real hope, and the most uplifting moments in the film, are watching Saraswoti, Sheetal and the rest of the Circus Kathmandu women and youth, rise up above what has been done to them to reclaim not only their lives as free people, but as circus artists. I came into this film knowing that the circus caters to survivors of human trafficking, but learning that they were specifically rescued from being forced into circus work was like a slap in the face. To me, circus has always been a refuge, a place I chose because it made me happier, stronger and more independent. To learn that there is a whole world where circus is something forced upon you, something that represents oppression and violence and being torn away from one’s family, was a painful discovery. How wonderful it was, then, to learn that for some of these kidnapped-and-rescued children, circus does not remain a dark memory they wish to forget. To witness these young people being freed from a life of horror in the circus, and then choosing to make a different type of circus life for themselves and for others who shared their experiences, was a very powerful and encouraging aspect of the film. Furthermore, to see two women of color leading such an important project, and to see them supported and aided – but not patronized – by white women (the documentary was made by Sky Neal and Kate McLarnon; Neal and Robyn Simpson helped the Nepalese women set up Circus Kathmandu) was yet another hopeful message of the documentary. Nepalese society is both highly patriarchal and has preconceptions of circus as a place of lewd behavior, and these women were claiming a position of leadership and power in an environment that desperately needs to see such examples. Circus Kathmandu is doing a tremendous job of creating a new type of circus not only for its performers, but also for its local audiences. The documentary was a glimpse into a different world, done with care and compassion, and I warmly recommend viewing it. You can hear more from the filmmakers in this link. 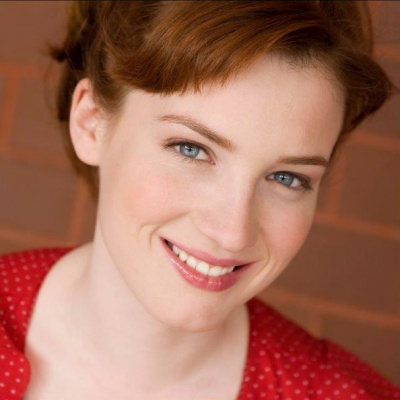 One of Circus Kathmandu’s support team members is Anna Strickland of Missing Link Productions. Anna has been involved in circus for over 20 years, and alongside her work as a producer she has been passionately involved in various social circus projects, such as Mimbre’s youth program for disadvantaged youth in Hackney. Strickland has been involved with Circus Kathmandu since its early days, helping with production, fundraising and with the overall creation of a successful business model. A long time advocate for social circus’s benefits, Strickland has recently endeavored to create a social circus program of her own in the UK titled “Circus for Survivors”. Circus for Survivors is a bespoke, women-led workshop program for female survivors of sexual abuse and domestic violence to develop physical and emotional well-being through trapeze, acrobatics and dance. The program is designed to advance the proven physical and emotional well-being achieved through circus and offers a vital step in the journey for survivors to reclaim their right to body autonomy. I have spoken to Miss Strickland to ask her about her project and asked her about her point of view on the topic of women helping women in the field of circus. SM: As a woman dedicated to helping other women, where do you think the advantages and disadvantages of women in circus lie? What ails us, where would you like to see things evolve? How can we help make things better? AS: I think the advantages of women in circus is our potential for growth, compassion and team work. It is not that I do not see these traits in men, but I see it more frequently in how women work. My experience is that women are a little more receptive as listeners, so if someone is going to talk about under-representation (gender, class, racism, sexuality, etc.) it tends to be the women who are listening and trying to work out paths towards intersectionality, rather than explaining why it is not their fault. I am generalizing of course, but this is my overall experience. And I think we have the potential to smash some stereotypes: yes you can be strong and feminine, powerful and beautiful, curvy and exist, etc. There is a wonderful quote always misattributed to Diana Vreeland which says: ‘You don’t have to be pretty. You don’t owe prettiness to anyone. Not to your boyfriend/spouse/partner, not to your co-workers, especially not to random men on the street. You don’t owe it to your mother, you don’t owe it to your children, you don’t owe it to civilization in general. Prettiness is not a rent you pay for occupying a space marked ‘female.” — I want to see more of that on stage. One last circus I’d like to mention is Australia’s Women’s Circus. A not-for-profit arts organization offering a year round circus and performance training program and producing socially engaged arts projects, Women’s Circus is a feminist organization dedicated to individual well-being of women and connectedness within and across their communities. They have provided training and creative opportunities for community participants and women artists since 1991, when Women’s Circus was founded to work with women who were the survivors of violence or abuse as a project of the Footscray Community Arts Centre. Twenty-five years later, Women’s Circus is still proudly based in Melbourne and now works with women of all ages, experience levels and cultural backgrounds as well as with our local communities. Fittingly enough, Women’s Circus is currently engaging in a creative exchange with Circus Kathmandu. 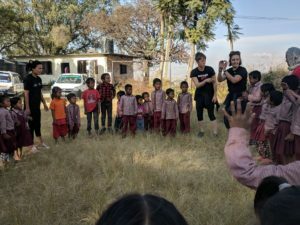 In November 2017, three member of Women’s Circus traveled to Kathmandu for two weeks, to deliver a series of workshops and development sessions and help deliver workshops using Circus Kathmandu’s social circus techniques via their outreach program, SSapana. These days (May 2018),three artists from Circus Kathmandu are currently on a two-week residency with Women’s Circus, doing a project titled “Learningthe Ropes”. These two weeks are dedicated to further exploration around themes of isolation, sexualisation, commodification and cultural privilege. Women’s Circus is inviting young women from their membership, the Nepalese community, and the Western suburbs of Melbourne to participate and engage in a series of open rehearsals during the residency, which will culminate in a public sharing of the enquiry at Women’s Circus. The three projects I have presented here are but a drop in the ocean of social circus work to benefit at women. If you know of more, please share them in the comments! See you in the next segment in our series, dedicated to issues of borders and refugees.